Genotoxic anti-cancer therapies such as chemotherapy and radiotherapy can contribute to an increase in second malignancies in cancer survivors due to their oncogenic effects on non-cancerous cells. Inhibition of histone deacetylase (HDAC) proteins or the proteasome differ from chemotherapy in that they eliminate cancer cells by regulating gene expression or cellular protein equilibrium, respectively. As members of these drug classes have been approved for clinical use in recent times, we investigated whether these two drug classes exhibit similar mutagenic capabilities as chemotherapy. The HDAC inhibitors vorinostat/SAHA and romidepsin/FK288 were found to induce DNA damage, and mis-repair of this damage manifested into mutations in clonogenically viable surviving cells. DNA damage and mutations were also detected in cells treated with the proteasome inhibitor bortezomib. 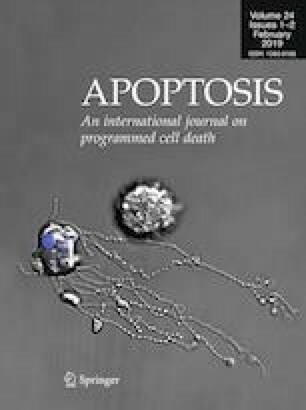 Exposure to both drug classes stimulated caspase activation consistent with apoptotic cell death. Inhibition of caspases protected cells from bortezomib-induced acute (but not clonogenic) death and mutagenesis, implying caspases were required for the mutagenic action of bortezomib. This was also observed for second generation proteasome inhibitors. Cells deficient in caspase-activated DNase (CAD) also failed to acquire DNA damage or mutations following treatment with bortezomib. Surprisingly, vorinostat and romidepsin maintained an equivalent level of killing and mutagenic ability regardless of caspase or CAD activity. Our findings indicate that both drug classes harbour mutagenic potential in vitro. If recapitulated in vivo, the mutagenicity of these agents may influence the treatment of cancer patients who are more susceptible to oncogenic mutations due to dysfunctional DNA repair pathways. This study was funded by a Cancer Council Victoria Postdoctoral Fellowship to M.A.M, Research Training Program Scholarship to M.A.H, a grant from The Kids’ Cancer Project and a Grant-in-Aid from the Cancer Council Victoria (Grant No. 1145995).